When it comes to rodent control, it is important that homeowners in Solana Beach, California, find a reputable company to perform treatment in their homes. 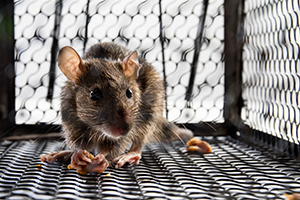 Rodent exclusion is intricate work, and effective service requires specialized knowledge and years of experience. Fortunately, you’ve found Kilter Termite and Pest Control – one of the longest tenured and trusted rodent treatment companies in the region. We have served area homeowners since 1991, and the effectiveness of our services is evidenced by our outstanding customer reviews and accolades, including a designation as one of the country’s top 100 pest control companies by Pest Control Technology. Once treatment is complete, Kilter offers optional services to help repair some of the damage that may have been done by rodents. If, for instance, rodents nested in your insulation, we can replace it with TAP Pest Control Insulation, which, in addition to being highly energy efficient, will help protect your home from pests. If you’d like to learn more about the rodent control solutions that Kilter Termite and Pest Control offers to homeowners in Solana Beach, CA, contact us today.